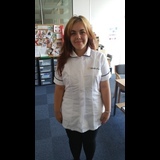 I have 2 years live in care experience (started 2016) I am very patient and kind and enjoy working with older people. I have worked with most disabilities and particularly used to working with people who have Dementia. I am flexible, easy going and work well with other people. I have live in the midlands but willing to travel. Currently completing my Level 2 qualification in Health and social care.